An intense student of the Scriptures since the age of 19, Bob enrolled in academic studies graduating with honors from Azusa Pacific University with a Bachelor of Arts in Biblical studies and from Fuller Theological Seminary with a Masters of Divinity. 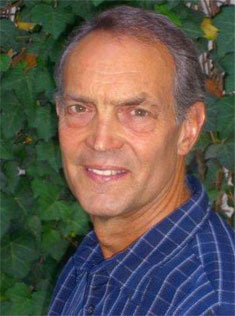 He engaged in post-graduate work prior to moving to Phoenix, Arizona in 1977. His experience includes twenty years in youth and pastoral ministry, teaching responsibilities at a Bible College, teaching in both children and adult capacities in a large church in Phoenix, Arizona. He is dedicated to understanding the intent of the scriptural message God has provided for its readers. Focusing on the history, culture, ancient languages and the literary formats found in the scriptures, Bob has discovered an excitement and life in the Bible he invites you to share. Bob considers himself an “iconoclast” when it comes to unsubstantiated or superstitious religious or “Christian” tradition. He stands firmly against much of traditional teaching and doctrine that has little or no foundation in the Scriptures, but is clung to tenaciously by many believers. Some of the unsubstantiated teachings taught by the churches over the centuries will be addressed throughout this web-site. His goal is to not only present Biblical truth but to gain the attention of those who have been turned off by some of the nonsense they have heard from the churches over the years causing them to disregard the way, truth and life provided only in Christ Jesus. 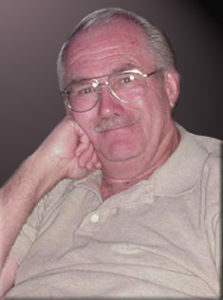 For over twenty-five years Bob led a study group that contributed much to the material found in this website. He wishes to thank those in this group for their help and dedication to gaining what God wishes to say to His people and the world through them. Committed to the Lordship of Jesus Christ, The Gospel of His Kingdom and His Grace, the love of God the Father and with a reliance upon the power and leading of the Holy Spirit, this site is presented to serious students who wish to transcend above the mundane and common to seek and lay hold of truth and the freedom that comes with it. Bob lives in Phoenix, Arizona with his wife Donna and is the father of two children and the grandfather of two children. Marshal Millikan, born in Maryville Missouri, graduated in 1969 with a Bachelors degree in economics from the University of Maryland where he met his wife, Joy. Joy graduated with a Bachelors in Elementary Education. After spending several years in business, he and his wife sold most of what they had and entered New Tribes Mission training in Bible, Cross-Cultural anthropology, and Linguistics and graduated in 1974. They stayed on to teach Advanced Linguistics for 3 years. He also took graduate courses at Univ. of Oklahoma in Advanced Phonology and Grammatical Analysis. In the summer of 1979 under the auspices of New Tribes Mission, they moved to Chihuahua Mexico with their three children and learned Spanish on the streets of the city. In 1980 they moved into a community of Tarahumara Indians in the Sierra Madres mountains of Mexico. A Tarahumara family “adopted” them and they learned their language and culture so a church could be built. Other families arrived and eventually a church was established that is still growing today. Marsh was the Field Chairman for NTM-Mexico for approximately 20 years with the oversight of all the operations of the field, but in particular the consultant program in which help and oversight is given to the missionaries working in the tribes. 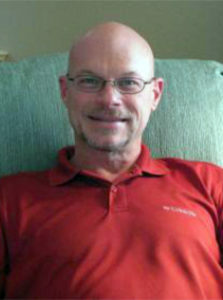 Marsh is currently the Director of the NTM-Mexico Missionary Sending Agency which involves: 1) the promotion of a missionary vision to the Mexican churches and liaison with the sending church, the Hispanic missionaries, and the Field Operations; 2) the training of Hispanic missionaries in cross-cultural church planting, and; 3) the sending of those missionaries around the world. The training involves three aspects: the Bible training, practical application of Biblical truth to the future missionary’s life (specifically as it relates to church establishment in a tribal setting, and the technical aspects of learning a language and culture never written down as well as the special needs of presenting Biblical truth so that others from another culture can understand and apply it. Scott Davis was born in St. Louis, Mo. but raised in Kansas and Arizona. After graduating high school, Scott attended Arizona State University achieving an AAS degree in Electronic Technology, a BA degree from ASU in Business Administration – Management, and is one class away from completing a graduate degree in International Business Management. Scott is a certified Project Management Professional (PMP) from through the Project Management Institute (PMI). During this time Scott turned to Christ in a deep and sincere faith, began attending church where he met his wife Cathy. They were married in 1983. At the same time he was married he began working as an electronic technician for Salt River Project in Phoenix, Arizona and eventually moved to a career in IT. Leaving SRP in 1999 and joined FedEx. Along with this change, his job was relocated to Colorado Springs and he continues to work for FedEx as a software project manager. He received a Five Star Award from FedEx for a project I completed in 2002; this is the highest award given to employees. We are delighted to have Scott as one of our contributors. He adds a strong intellectual element as well as a sensitive spiritual awareness to the studies to which he is contributing. Scott cares about God’s people and their need to be enveloped in God’s secure grace, truth and love.